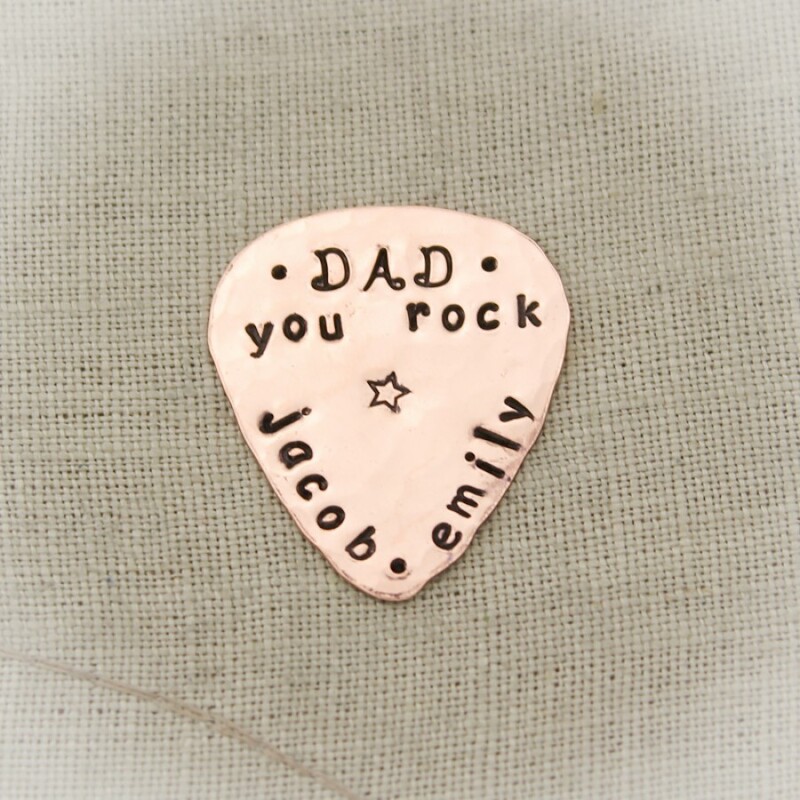 A great gift for any guitar player! 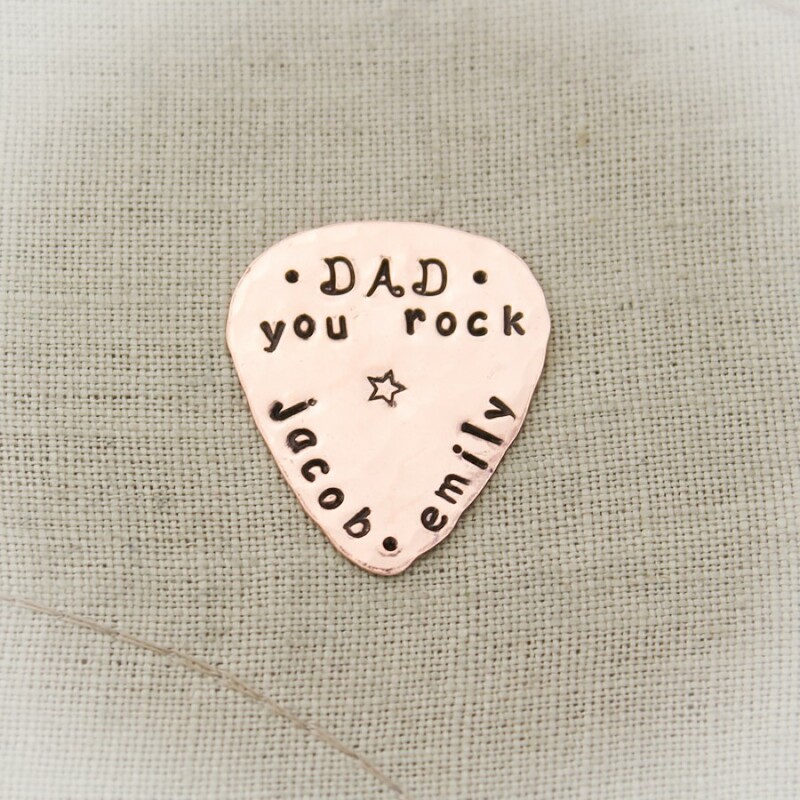 Personalized guitar pick in your choice of metal, personalized with the words of your choice. 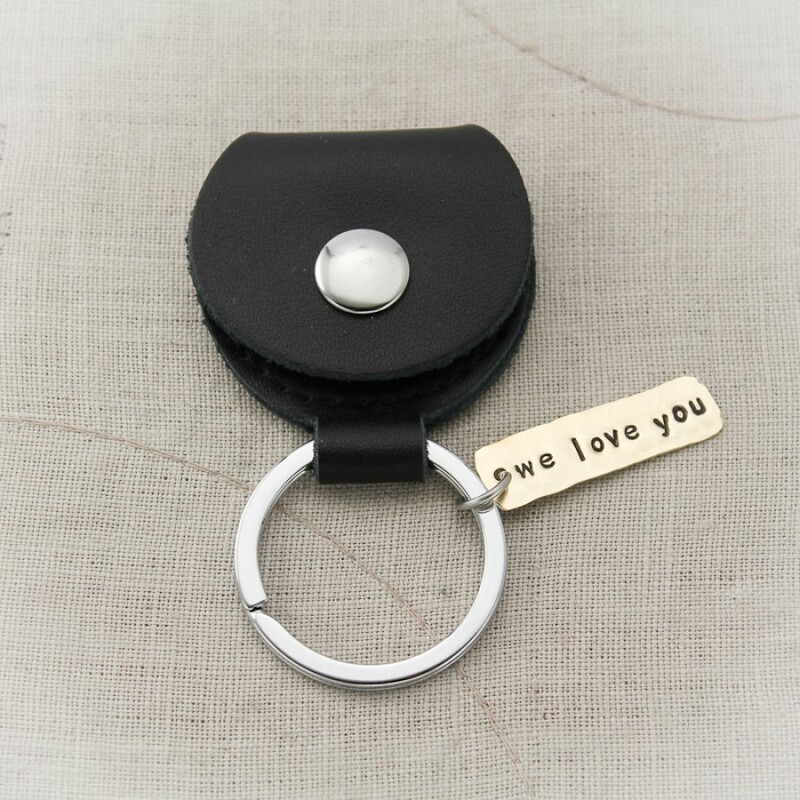 You can just buy the guitar pick alone or purchase the black leather key chain holder. 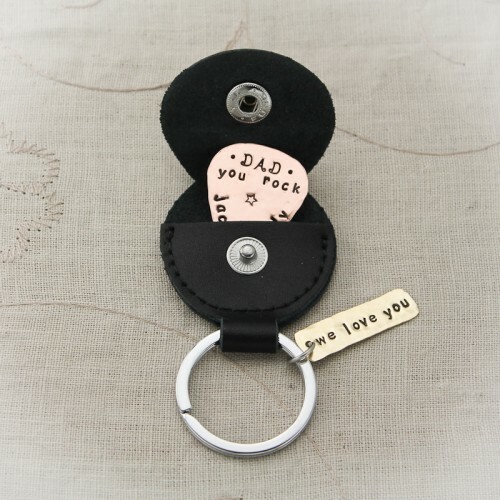 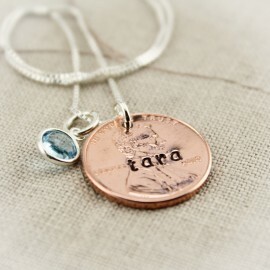 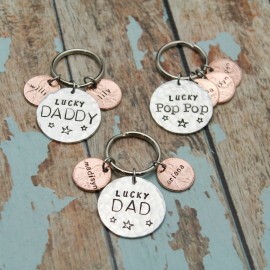 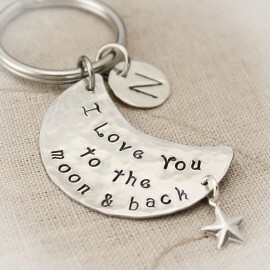 You can also add a customized metal tag to add to the key chain for more personalization. Personalization on guitar pick is limited to 55 characters and spaces. 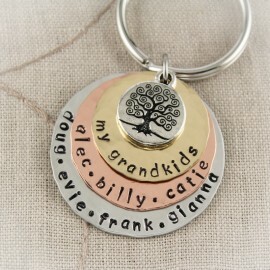 I will design the text on your pick as artfully as possible. 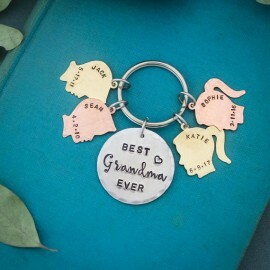 If you would like something in particular, please either email me or write in the space below "enter any other directions." 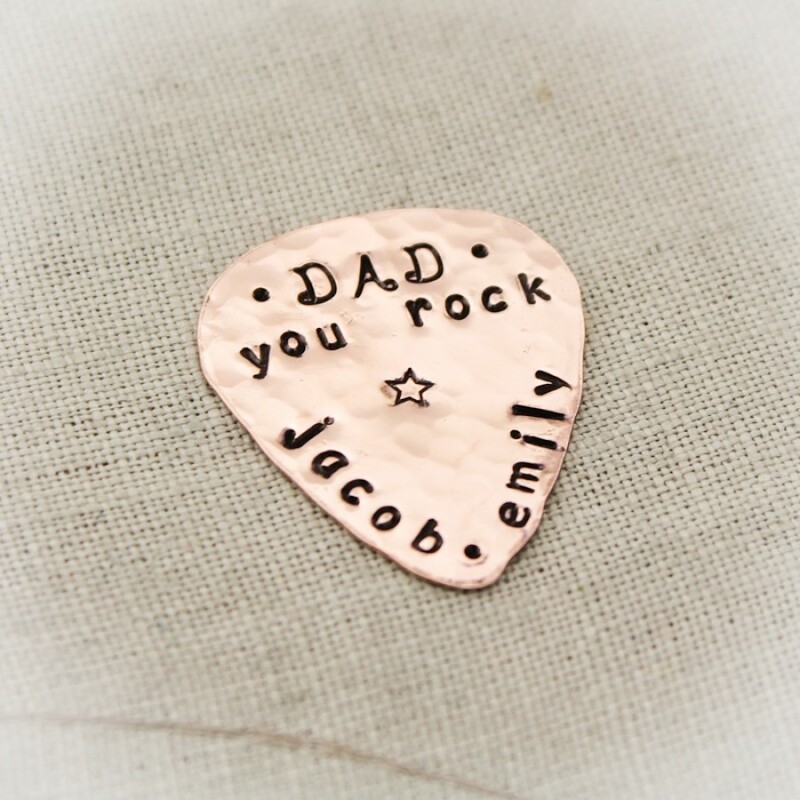 Guitar pick is approximate 1-1/8" across and 1-1/4 inches long in aluminum, copper or brass. 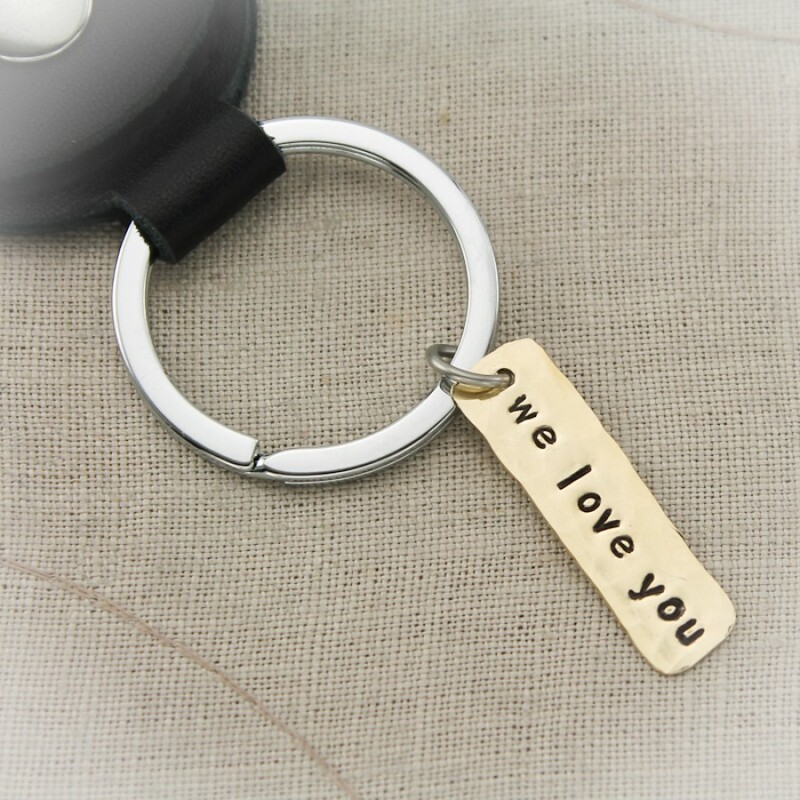 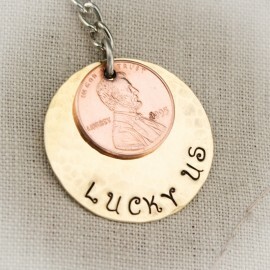 Tag on key chain is available in brass or copper and 1-1/2" by 1/2".